At the EU-Turkish summit in Varna, Bulgaria on Monday, Turkish President Recep Tayyip Erdogan raised the issue of the eight Turkish soldiers who fled the July 2016 coup and are seeking asylum in Greece, Hurriyet reports. Erdogan revealed details of his discussions to reporters on the plane back to Turkey after the summit, the Turkish newspaper said. He said Turkey's relations with both Greece and Cyprus were discussed as well as the issue of the two Greek soldiers who have been in Turkish custody for nearly a month after crossing the Turkish border accidentally. 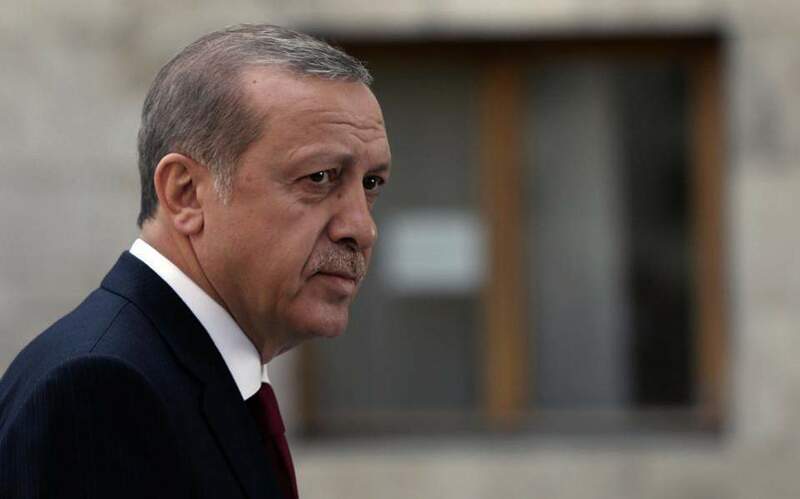 Regarding the Greek soldiers, Erdogan told reporters that the matter was in the hands of the Turkish judiciary. "They told me 'you are a big country, a big president, make sure the two soldiers are released' and I told them that I am not bigger that the judiciary, that the case is being tried and we should await the verdict," he said. "I told them that it's not fair they are spending so much time on the Greek soldiers and not at all with the extradition of the eight Turkish solders who were involved in the coup and fled to Greece," Erdogan added. "Those who didn't speak at all about this issue now speak about he need to free the two Greek soldiers," Skai reporter Manolis Kostidis quoted Erdogan as saying. "We do not see the two issues as related," Erdogan added.